Defense Secretary Ash Carter is reviewing military recruiting standards amid concerns that the current rules may be "overly restrictive" given the changing makeup of America's youth, the Pentagon announced Tuesday. 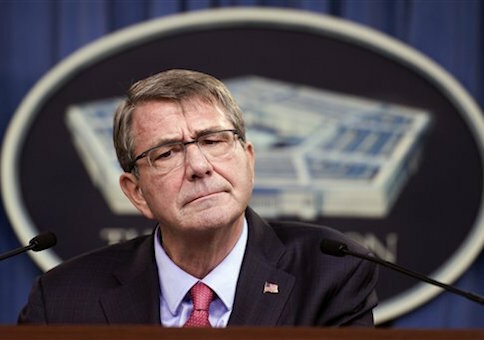 Carter may relax policies regarding fitness standards, marijuana use, tattoo restrictions, and the service's ban on allowing single parents to enlist, the Military Times reported. "We would be missing an opportunity if we kept fishing only in the same geographic ponds we always have," Carter said in a speech at the City College of New York. "Now, some of these things we'll never be able to compromise on. And we will always have to maintain high standards. But at the same time, these benchmarks must be kept relevant for both today's force and tomorrow's, meaning we have to ensure they're not unnecessarily restrictive," he added. The announcement marks the latest part of Carter's "Force of the Future" initiative that aims to attract and retain top talent recruits. Previous reforms included opening combat positions to women and lifting the ban on transgender individuals serving openly in the military. The Pentagon released an accompanying factsheet instructing top personnel officers to consider new programs to "assess the feasibility and impact of updated standards, such as those related to: body composition, physical fitness, swim tests, past marijuana use, single parents, and tattoos." A senior defense official stressed to the Military Times that the new changes would not compromise standards, but would rather make it easier for would-be recruits to join the service so long as they meet fitness regulations at Boot Camp. "Fitness does matter in the service," the senior defense official said. "But one of the responsibilities that we have when we bring people in is to make them fit, if they are not already." Carter also announced a $140 million advertising campaign aimed at improving the military's image among young individuals. This entry was posted in National Security and tagged Ash Carter, Defense, Department of Defense, Military. Bookmark the permalink.